WBCSSC Clerk & Group D Online Application; West Bengal Central School Service Commission has recently published a notification for recruitment of 4923 non teaching post of Clerk & Group D. Every youth in Bengal are eagerly want to apply for the post. Read this post and apply online. westbengalssc.com Online Application for Clerk & Group D Post in Non Teaching Staff Recruitment. In this post we will be guiding you on how easily you can do online application for Clerk & Group D recruitment in schools of West Bengal. Scanned Colour Photograph with Signature (within 30 K.B in .jpg format). Debit/Credit Card (Internet Banking) for Online Payment. * You may go for OFFLINE Challan Payment through Allahabad Bank. At the very first you should go to Official Website Link of West Bengal School Service Commission. 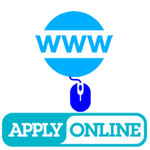 Official Link of West Bengal School is www.westbengalssc.com and click on "GO FOR ONLINE APPLICATION"
your Online Application will now Open, you should start filling. Please write your Name properly in CAPITAL LETTERS as per Madhyamik (10th) Certificate. Do not Add any Prefix Before your Name. In case not having Madhyamik pass then write your name as per School Certificate/Birth Certificate. Please write your Father's Name properly in CAPITAL LETTERS as per Madhyamik (10th) Certificate. In case not having Madhyamik pass then write your Father's Name as per School Certificate/Birth Certificate. EASTERN : Birbhum, Burdwan, Hooghly. NORTHERN : Alipurduar, Coochbehar, Dakshin Dinajpur, Jalpaiguri, Malda, Murshidabad, Siliguri Sub Division, Uttar Dinajpur. SOUTHERN : Howrah, Kolkata, South 24 Pargana. WESTERN : Bankura, Paschim Medinipur, Purba Medinipur, Purulia. SOUTH-EASTERN : Nadia, North 24 Parganas. (Choose The Language (Medium of Instruction) from these languages Bengali, English, Hindi, Nepali, Oriya, Santhali, Telegu, Urdu. Please Fill in all the required fields carefully. Click on Preview button before submitting finally. (Click on your Date of Birth, First Choose Year, Then Month, Then Date) Dont panic your date of Birth will be shown as per Month/Date/Year Order and its is correct. *** Clerk applicants should enter Date of Birth as Per Madhyamik (10th) Admit Card. *** Group-D Candidates should enter Date of Birth as per School Certificate or Birth Certificate. Now indicate the (Medium of Instruction) Language you studied in (Madhyamik/Class VIII). This Option is set by Default. Nothing to do here. PASSING YEAR : Choose your Class 10th Passing Year (1977 - 2016). (Select Last Post Held by you) This option is meant for In Service Applicants. Full Postal Address with Pin Code. Mobile/Contact No & Email Address (if Any). all the statements made in this application are true and correct. In the event any of the information being found to be false or incorrect or any ineligibility being detected before or after the issue of recommendation/appointment letter, my recommendation/appointment is liable to be revoked/ rescinded and/or cancelled and appropriate legal action be initiated against me either by the West Bengal Central School Service Commission or other lawful authority. I do here by declare that I have not applied in any district other than HOOGHLY for the post of CLERK. I do here by declare that I have not been recommended to the post of Teacher in a School on the basis of recommendation made by the West Bengal Regional School Service Commission of any region. My eligibility shall also be finally verified by the concerned recruiting agency/ appointing authority and if it is found that I was not eligible for 3 rd RLST(NT) under said post my candidature for recruitment shall be cancelled. Recently taken Color Passport size photograph duly signed under as soft copy (10kb to 30kb in size) to be uploaded in this stage. Click on "Click here to upload your photo with Signature"
A small upload window will appear. Now click "Browse..." button to select the file you want to upload. Now click "Upload" button. System will ask you "Are you sure to upload this photo?" then click okey. Now your photo will get uploaded and following massage will be displayed to you. "Your Photo has been successfully uploaded. If this photo is yours then Click on the (Next) button. If not then Browse the photo again to upload". Now Click on Next Button to proceed to next step. Finally Click Submit & Next Button. Your Application has been submitted provisionally. For Payment Through Offline Mode (e-Challan) : Please take Printout of e-Cash Challan, filled in Application Form and contact the designated bank branch with requisite fees, as applicable. For payment Through Online Mode (Credit Card/Debit Card/Internet Banking) : Please Click on the tab for Credit card/Debit Card/ Net Banking and follow the instruction on screen. Please Note Your Application ID 1608160300085290 for future reference. You May Print Your Application Form by clicking on "Print Application Form". You may do it later. Click on > Check Fees Payment Status (RLST 2016). If your Payment is Successful! you will get "Transaction Acknowledgement Receipt" with a Payment Successful Massage. If your Payment is NOT Successful! you will get the this Massage >> "Your Payment Details has not yet been received by Commission. Please check again later". Select Application Channel : Other Than SAHAJ/Sahaj Tathya Mitra Kendrya. You will be shown Match Found and Redirecting. please wait..
and then your Application Form will be displayed and you will be able to take printout of the same. If you Have Any Confusion/Feedback, Comment Below! 0 Comment to " WBSSC Clerk & Group D Online Application of 3rd RLST(NT) Non Teaching Post - westbengalssc.com "